Biometrics are used every day in many different places all across the world. It is almost difficult to not come across biometric security every single day. Unless you don’t leave the house. From airports to banks to sports stadiums and many other venues, you’re going to have a hard time avoiding biometric security. Have no fear, however; as you will not have anybody infringing on your privacy. Matter of fact, it is actually the best way to keep yourself secure by knowing a venue or any other establishment has biometric security in place. Airports have not been using biometric technology for a while, but it is becoming more and more mainstream as time goes on. They normally rely on iris scanners because these are the most accurate and stable biometric identifiers available today. These simply scan your eye, more specifically the Iris in your eye, and identify who you are and then verify your identity. If you are somebody who is not on any terrorist watch lists, a criminal with criminal history or any other factors that may not allow you to fly on public flights, then you will be granted access to the plane. The iris scanner is a very quick and easy way for both security officers and customers to move freely inside of airports. If you are somebody that has an interest or currently is donating blood to any blood banks near you, you may have already seen fingerprint scanners. Or should expect to see them in the near future. For the blood workers to be able to run a consistent and reputable operation collecting blood, they must identify and verify people that are coming through donating blood. Failure to do so could result in major issues such as people with diseases donating blood or people who have things like tattoos, which are not allowed if you want to donate blood. Places like doctor’s offices and dentist offices have been turning to fingerprint scanners to allow quick and easy access to authorized patients. This allows the secretaries to have their time freed up and not spend excess amounts of time confirming people have arrived for their appointments. Having fingerprint scanners available do not require any humans working them allows the owner of the establishment to focus on other things. It results in money being saved because it is not being spent on a human worker. Making it easier for patients so that they do not the way line for the secretary to check them in. Fingerprint scanners at dentist offices are becoming very, very popular. And it is almost weird for people living in 1st world countries to arrive to a dentist office and not see a fingerprint scanner waiting for them to check themselves in. 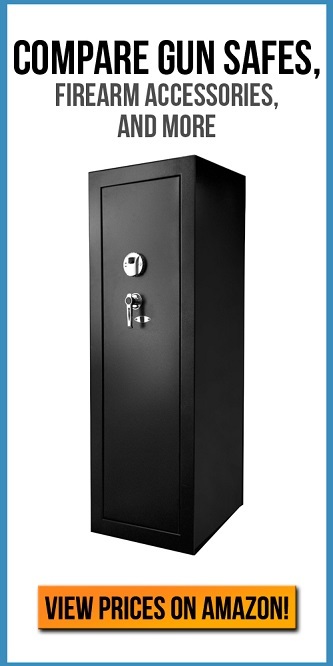 Many 1st world countries are also seeing a lot of gun safe manufacturers start building out gun safes that implement biometric scanners. With recent shootings and murders taking place at schools, there is been a large discussion about whether or not students are safe at school. This is a major concern for many parents and rightfully so. It seems like every other day there is some kind of shooting going on at a school, and innocent people are having their lives taken away. This is why schools are not implementing fingerprint scanners so that students can check in and anybody is not authorized to be in the school will be immediately asked to leave the premises. It allows the teachers, principals and other workers at school as well as the students to be at ease. Knowing they are protected by a simple technology implementation at the front doors and any other corresponding doors that allow access into the building. It is a great investment for the schools, and many parents are applauding the investment into biometric scanners. In 2012, 30% of schools in England were reportedly using some kind of fingerprint scanner. This would ensure that only students, teachers, and adults would have access to the school and nobody else. Other uses for that biometric scanners were taking attendance and checking all library books. Creating a much easier and stress-free atmosphere for teachers, students, and adults. Cars and videogames both make use of voice recognition to perform tasks that the person in control requests. Tasks, like bringing up different menus and playing different games on the videogame systems, has allowed people to have the systems work for them without having to move a muscle. It is created a whole new brand of freedom for drivers because now instead of taking their hands off the wheel, they can just say what they want the car to do and the car performs the action. This results in less crashes and accidents happening because people are no longer distracted as would have been had they been trying to fiddle around with the radio or any kind of interactive screen. As said in the first paragraph, you have more than likely been using biometric technology for longer than you realize. Anything that requires your fingerprints or any other characteristics to confirm your identity such as your voice is biometric technology. It would be more surprising if somebody living in a first world country was not coming to contact with biometric technology. Enjoy it. Makes life easier and allows you to multitask unlike humans have ever been able to before.